Export to Japan founding partners. From left to right: Steve Crane (Managing Director), Non-executive CIC board directors: Lori Henderson (BCCJ), Esther Williams (DIT Japan), Jonty Brunner (British Airways). Seated is Tim Hitchens (Former British Ambassador to Japan). We’re on a mission to provide companies with the support they need to succeed in one of the world’s richest economies, Japan. We provide access to trusted and up-to-date market insights, trade shows, business opportunities and events. Our teams in Europe and in Japan connect companies from multiple industries with industry experts who can provide personalised advice and guidance. Our members receive additional value through our growing network of specialist business partners. Membership to Export to Japan unlocks nearly 30 discounted services that can give a head start in Japan. Export to Japan is a not-for-profit organisation that was formed in July 2013. 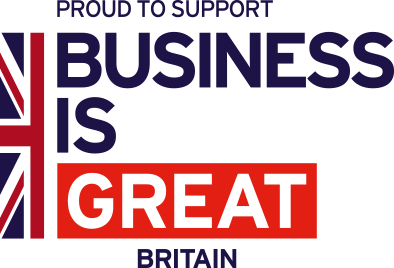 We are a unique partnership between the UK Trade & Investment, the British Chamber of Commerce in Japan, British Airways and Business Link Japan. Tim Hitchens, British Ambassador to Japan, William Hague, British Foreign Secretary, and Willie Walsh, CEO of International Airlines welcome you to Export to Japan and explain why they are supporting this dedicated platform for helping International Companies to enter the Japanese market. Our partners value our passion for driving economic growth and creating far-reaching connections. Our mission is to enable businesses to grow and by partnering with us, you get to actively contribute to fulfilling that mission all while building your brand and expanding your reach. Please get in touch to discuss and explore all the benefits of becoming a partner. The Department for International Trade (formerly UKTI) is the British Government department that helps UK-based companies succeed in the global economy. British Airways is one of the world's leading airlines, and is part of International Airlines Group, with 12 weekly services between Tokyo's Haneda and Narita airports and London Heathrow. The British Chamber of Commerce in Japan is an exceptionally active and ever-expanding private membership organisation serving over 740 high-calibre members. Business Link Japan provides the 'next step' follow on services to clients of UKTI. If you require more a in-depth support system in Japan the BLJ has a range of services for you.